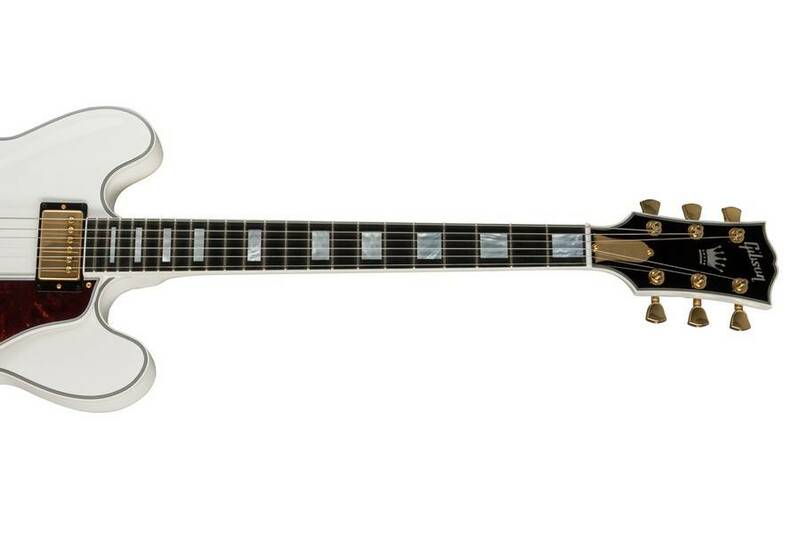 The legendary Gibson B.B. King Lucille returns to the ES lineup dressed in white, Alpine White to be exact, for a limited run of 100 pieces. Featuring all of the high-end appointments that are fit for a King. Highlights include a custom B.B. King signature engraved bridge pickup cover, brass Lucille engraved truss rod cover, and Crown Mother of Pearl headstock inlay. Staying true to B.B. 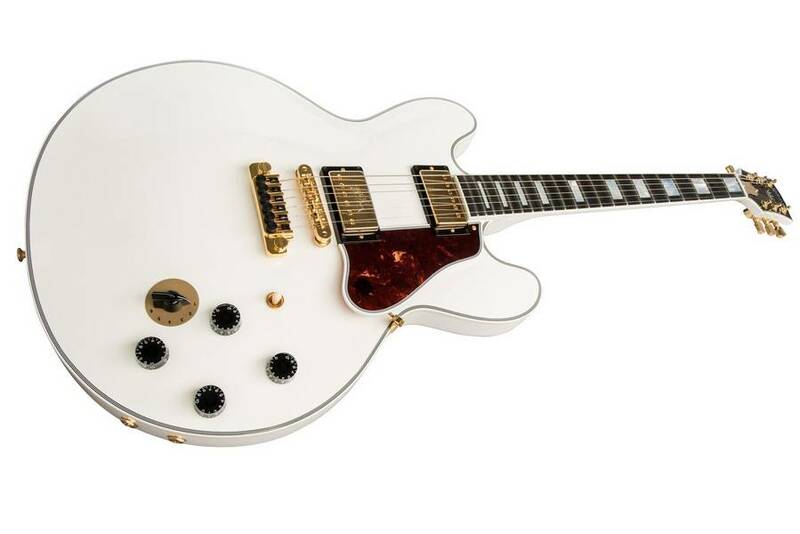 Kings original specs and tone, players will find a Stereo Varitone paired to Gibson 490R and 490T Humbucking pickups. 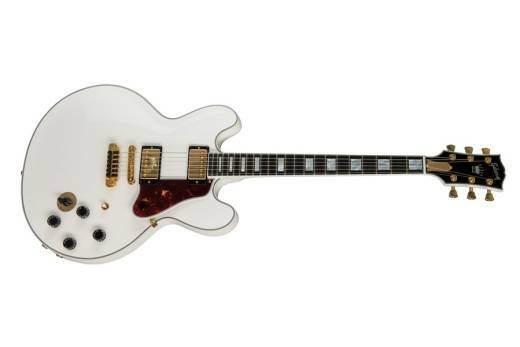 The TP-6 Fine Tune Tailpiece, Mother of Pearl Full Block inlay fingerboard, and semi-hollowbody design, are all iconic in their own right. Lose the F-holes, and long live the King! • Nut Width 1.687 in. 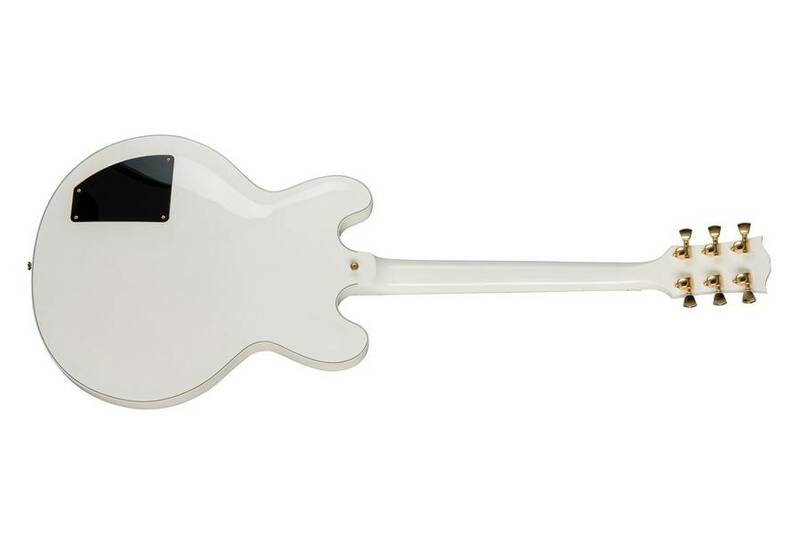 • Scale Length 24.75 in.